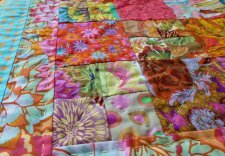 "This small quilt is Fruit Smoothie and uses two types of pre cuts. 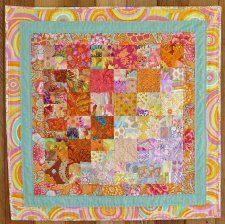 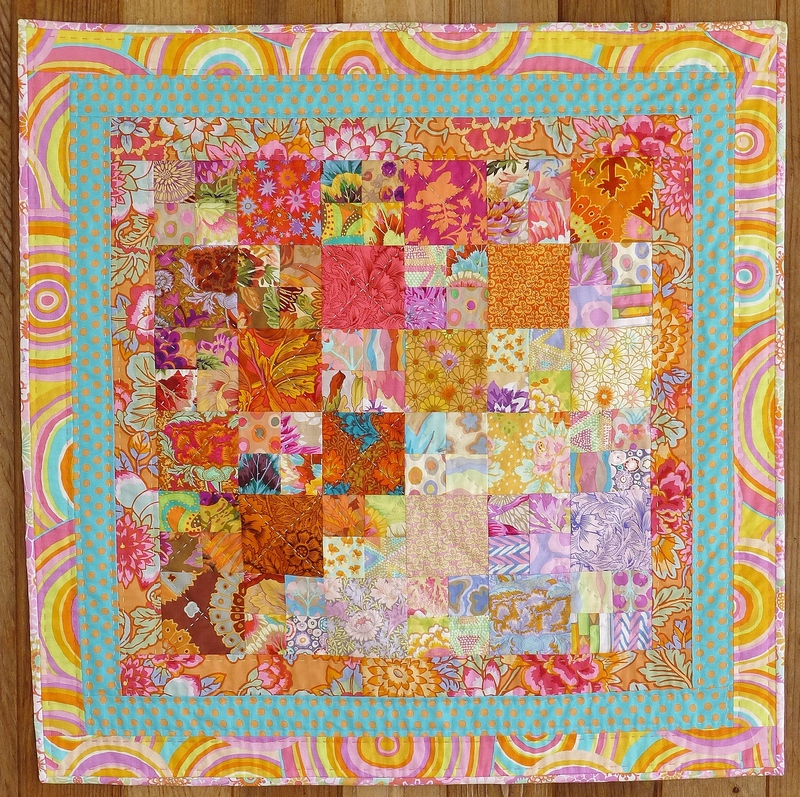 The center patchwork section is a mix of mini charm stacks and 5 inch charms. 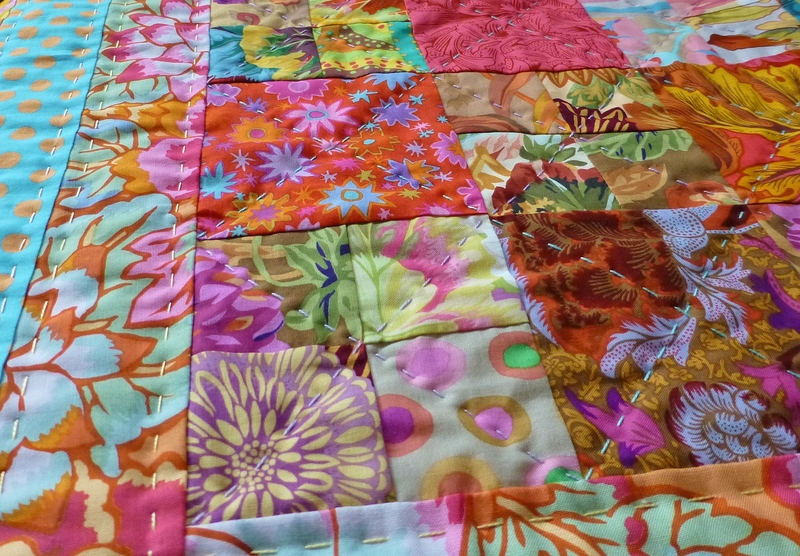 My Kaffe stash had just the perfect prints for the border, but at 2 1/2″ they’re the same size as designer roll strips.